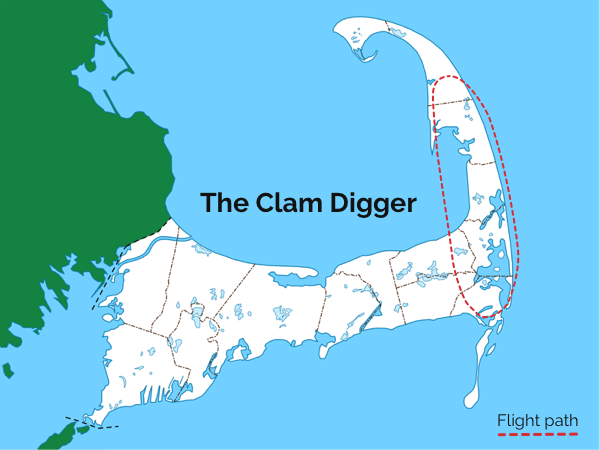 Experience Cape Cod with a "birds eye view" of the magnificent beaches, the newest ocean breakthrough, and the large volume of local harbor seals. If you look closely you may even see a Great White Shark (no guarantees on the shark though). Other sights include the wreck of the SS James Longstreet target ship sunken in the bay, and the Provincetown Monument. Our professional pilots will point out these and similar areas of interest, provide some Cape Cod history and answer questions while you enjoy the lovely scenery. Don't forget to get your picture taken and pick up a Stick'N Rudder Aero Tours T-shirt, or a Hot Wings Cessna C172 Skyhawk toy for a souvenir! 2 great ways to experience your flight! We now have two great options for viewing the Cape from above. We have our Cessna Skyhawk which hold up to 3 passengers, and now we also have our Waco YMF5 Biplane that can serve 2 passengers. 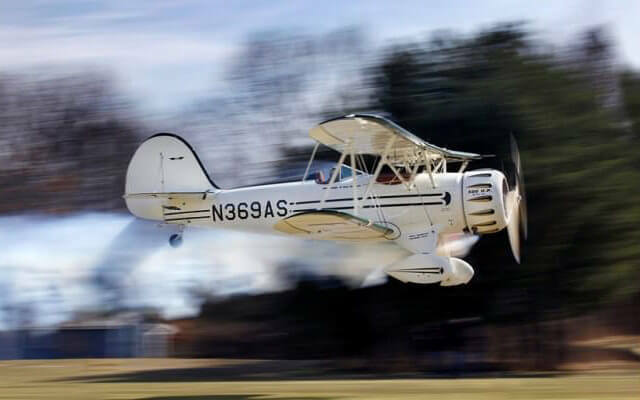 See Cape Cod Bi-Plane! A truly unique and amazing experience you will never forget. This plane is truly something to see and experience. A sight seeing flight over Pleasant Bay and the Chatham area. Great way to see the gorgeous view at an economical price. 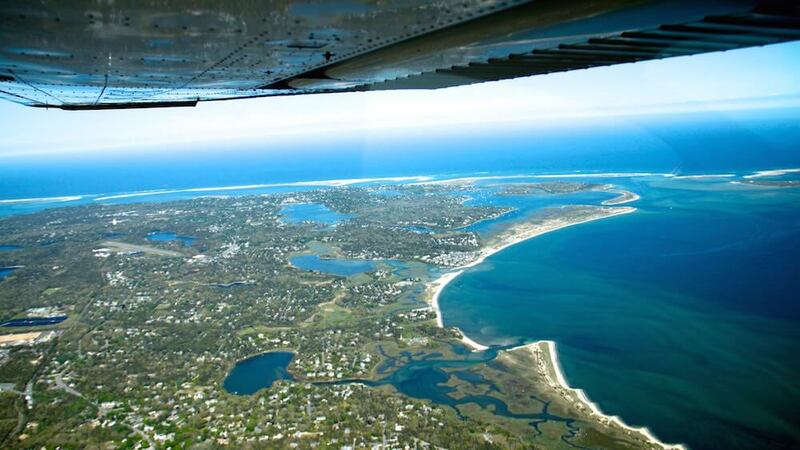 Fly over LOWER CAPE REGION, including Chatham, Orleans and the Provincetown area. 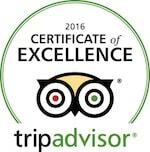 Great way to see the National Seashore! 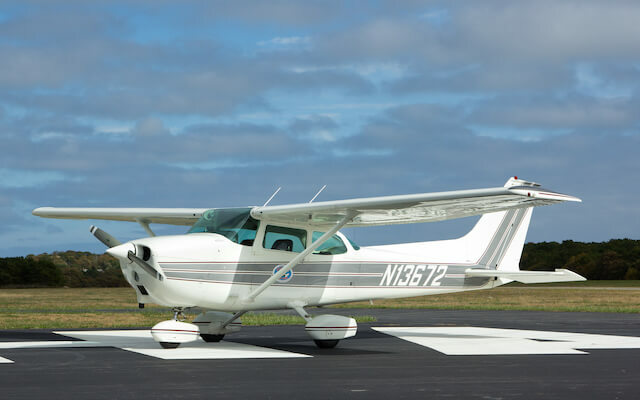 The ultimate sight seeing flight over the LOWER CAPE REGION as well as Monomoy Island. Great way to see lighthouses, harseals and maybe even a shark. © 2017 Cape Cod Flying Circus is the Fixed Base Operator & Airport Operator at Chatham Airport and does not represent the Town of Chatham or Airport Commission.